darkness is quickly approaching. 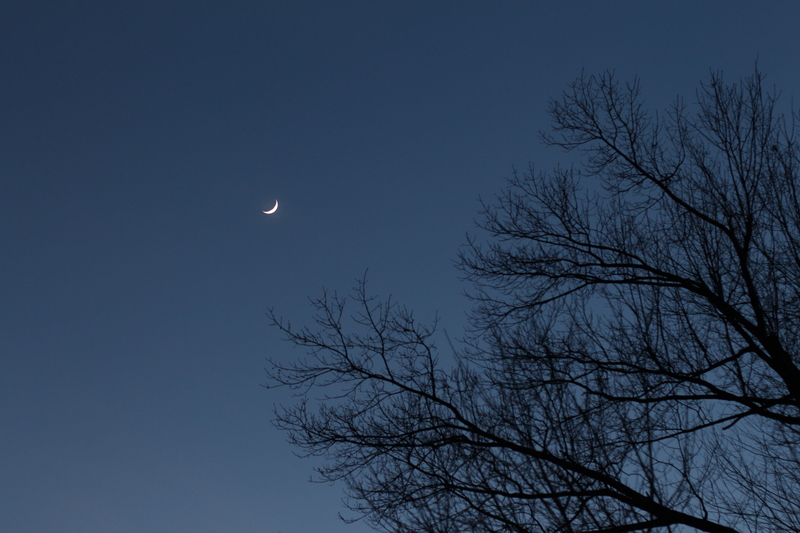 the small sliver of the moon lights the sky. she looks up and shares her secrets with the moon. it’s time to let go. . . to let go of the expectations of where she thought she would be by now. to let go of the approval from others. to let go of the resentment towards the people that abandon her. to let go of the jealousy of others. to let go of the excuses. to let go of the tears. . . and the moon, in all of her cratered imperfection, listens. and understands. right back at you, wonderful woman. xoxo. The image you captured is really beautiful. I have yet to take a decent picture of our moon. You are brave for letting go of so many things, that can be so difficult to do, I’m proud of you. thank you, t! it warms my heart to have your support and love.